Blink Pong is a ping pong game designed to be playable by blind people. It also has a visual element to it, but can be played by hearing alone. #Vision: The main concentration of this game is for blind gamers. 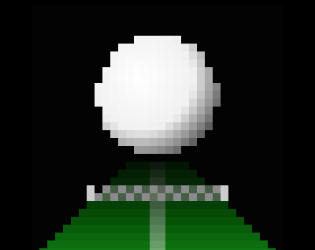 Based on the sound of the ball hitting the table or the paddle alone, the player can detect the position of the ball. A voice also speaks the current score and level. #Cognitive: The game has been simplified and only focuses on hitting the ball at the right moment. #Motor: To play the game, there's only one button to press, either mouse or keyboard button. So the game is easily accessible to gamers with motor impairement.